Geologists from the Northern Territory Geological Survey recently returned from two weeks in East Arnhem Land, a trip made possible by the support of Traditional Owners. Staff work with Traditional Owners and people living on country to ensure geological research avoids areas of cultural significance. 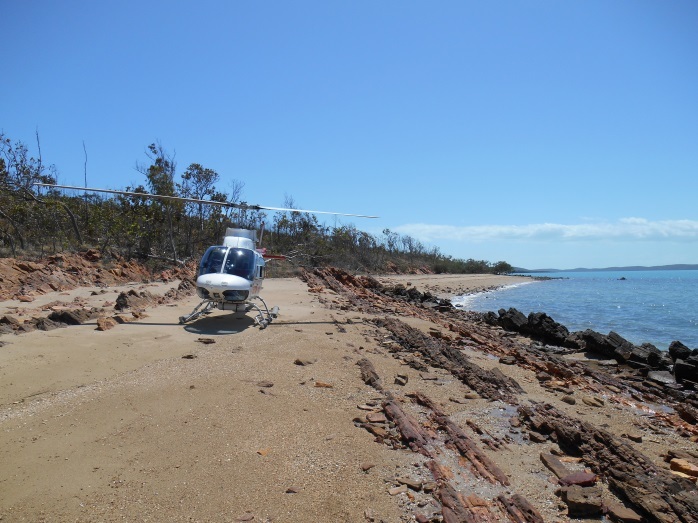 The geology of East Arnhem Land had not been investigated since the late 1990s, with the recent trip to record detailed observations at specific sites enabling an understanding of the geology of the area. At places approved by Traditional Owners, rock samples were taken to be analysed using state-of-the-art techniques that reveal age and composition. This work, by the Department of Primary Industry and Resources, helps to show how the geology of East Arnhem Land relates to the rest of the Territory.